The proliferation of ever more powerful electronic devices such as smart phones with ready access to proprietary data creates a pressing need for a reliable and user friendly biometric identification with both improved accuracy and ease of use compared to passwords. Fingerprints have been used for centuries for unambiguous identification. Although electronic sensors have been available for some time, current optical and capactive solutions have found only limited adoptions owing to their poor handling of common real world imperfections such as stains, moisture, or oils and being easily foiled by proxies. This project leverages our expertise with ultrasonic transducers to fabricate fingerprint sensors with significantly improved accuracy and robustness. Unlike optical and capacitive solutions, the ultrasonic sensor measures the dermal image behind the skin and is therefore not susceptible to superficial dirt and scars. Ref: H. Tang et al, Pulse-echo ultrasonic fingerprint sensor on a chip, Transducers 2015, Jun. 2015, pp. 674–677. DOI: 10.1109/TRANSDUCERS.2015.7181013. Already widely used for camera image stabilization, smart phone user interfaces, and in automotive crash avoidance and detection, GPS assisted and indoor navigation is the next "killer app" for this versatile device. Unfortunately the high drift of present gyroscopes severely limits their usefulness for this important task. This research applies precision electronic circuit techniques such as chopper stabilization and direct rate-to-digital conversion to MEMS gyroscopes with the goal of achieving sub degree/hour accuracy. Ref: I. Izyumin et al, A 7 ppm, 6 deg/hr frequency-output MEMS gyroscope, MEMS 2015, Feb 2015. DOI: 10.1109/MEMSYS.2015.7050879. This collaboration with Dr. Mekhail Anwar at UCSF leverages the small size of integrated cameras to build a pin sized fluorescent microscope capable of detecting and aiding the removal of residual tumor in an intraoperative setting. Currently, microscopic disease is only definitively identified post-operation in the pathology lab, resulting in the need for resection or other post-operative treatment when detected. In addition to the trauma, anxiety and morbidity of reoperation, at approximately $40,000 per operation, it represents an additional $2.8 billion dollars of cost to the US health care system annually. Therefore a method to intraoperatively assess MRD to guide complete resection is can significantly reduce the number of operations and improve clinical outcomes. Flow cytometers are very powerful medical diagnostic instruments used to diagnose and monitor a wide variety of immunological diseases such as HIV and are also a highly versatile and accurate instrument used in ensuring food safety and evaluating waterborne diseases. Unfortunately they are also very expensive and can be used only by trained staff. This project solves both problems with an entire flow cytometer that fits on an electronic chip. This not only reduces the cost and size, but also allows the device to be used by anyone, anywhere. 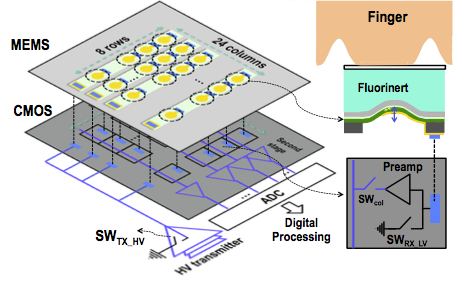 Ref: P. Murali et al, A CMOS micro- flow cytometer for magnetic label detection and classification, ISSCC, Feb. 2014, pp. 422–423. DOI: 10.1109/ISSCC.2014.6757497. Compared to time-of-flight ranging, continuous wave frequency modulated Lidar requires significantly lower timing resolution. The goal of this project is to leverage this advantage in a low power 3D camera. 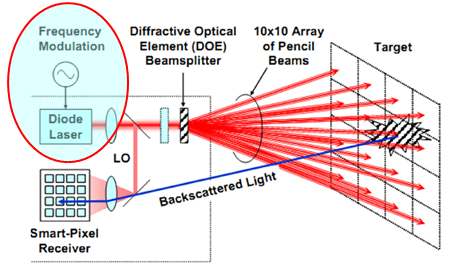 Refs: B. Behroozpour et al., Method for increasing the operating distance of MEMS LIDAR beyond brownian noise limitation, Lasers and Electro-Optics (CLEO), Jun. 2014. This project uses custom piezo-electric transducer arrays for ultrasonic imaging. The ultra-thin membrane design results in good coupling in air, enabling a wide range of applications including 3D localization, touch screens, gesture recognition, ranging with millimeter accuracy, air speed measurements and gas flow sensors. Compared to optical methods, ultrasound based solution have orders-of-magnitude lower power dissipation, making this technology ideal for application in battery powered devices such as smart phones. 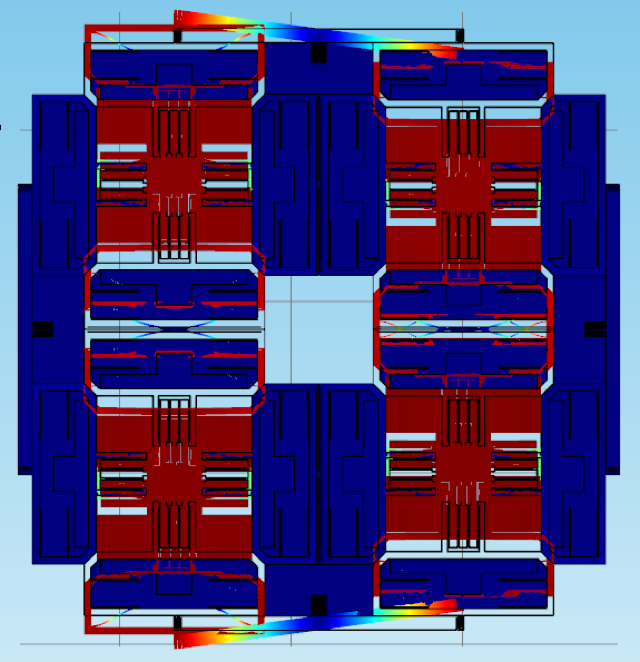 Named at ISSCC 2014 by EE Times as one of 5 technologies to watch. The research results from this projects have been transferred to Chirp Microsystems for commercialization under license from UC Berkeley.